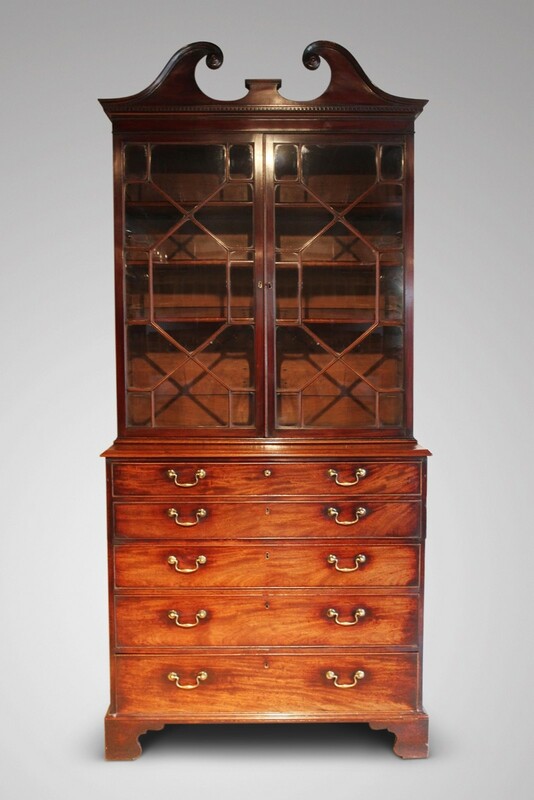 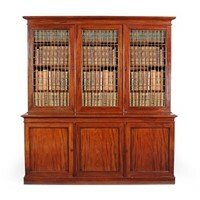 A fine quality Georgian period mahogany Secretaire Bookcase retaining the original patina. 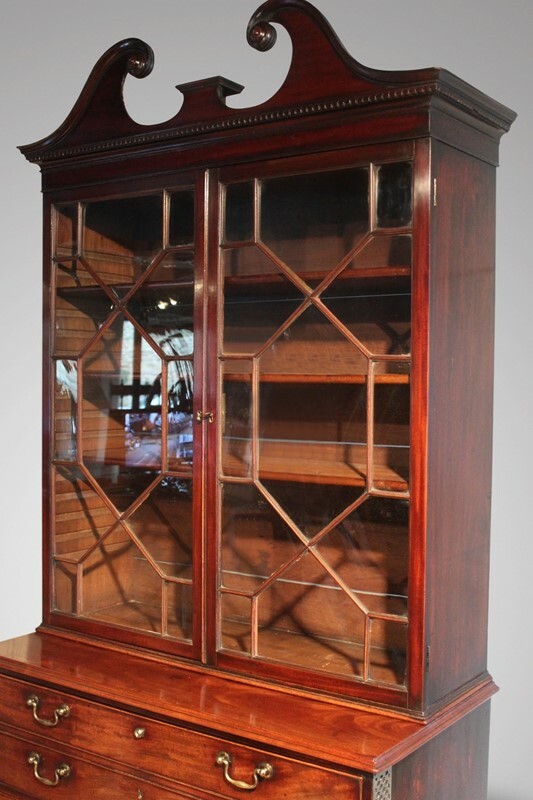 Moulded pediment cornice above a pair of astragal glazing enclosing three adjustable shelves. 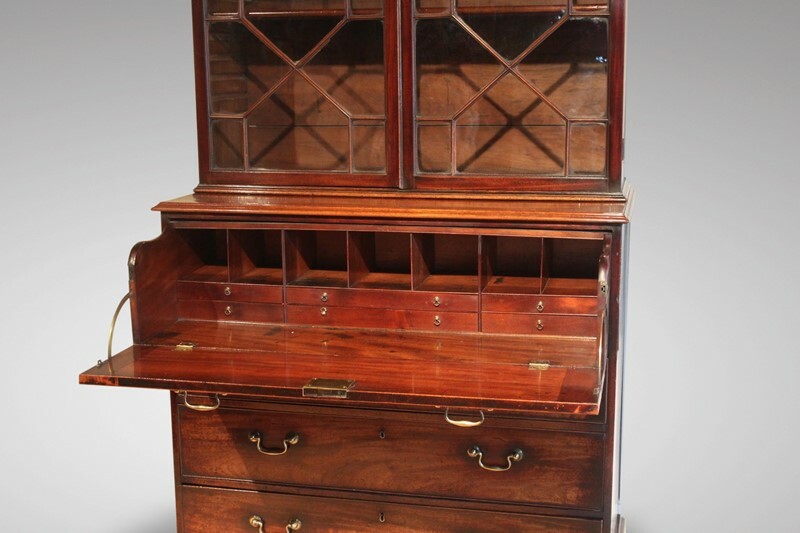 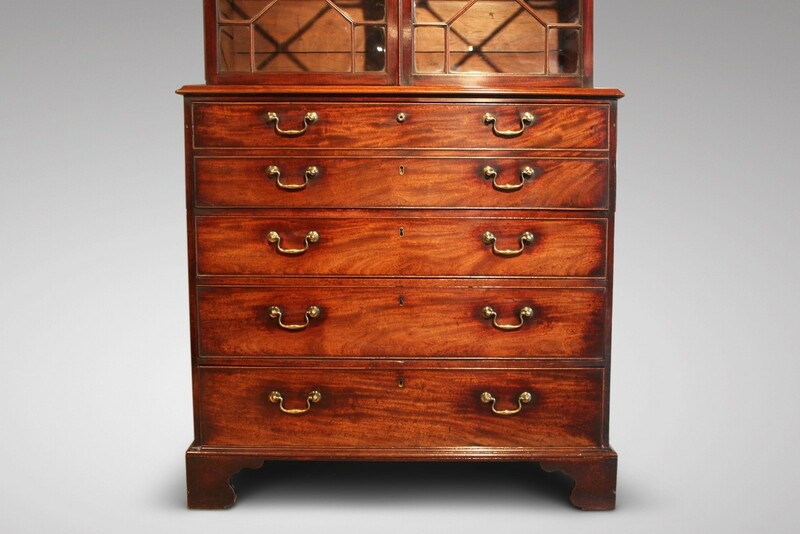 The flamed mahogany secretaire drawer opens to reveal an interior with an arrangement of drawers and a mahogany writing surface, above three more long graduated drawers standing on bracket feet.